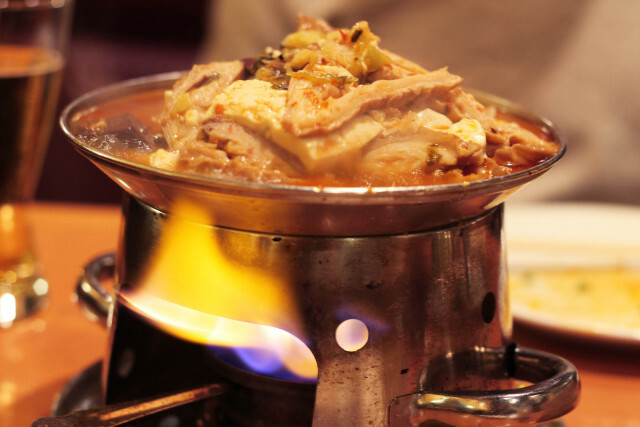 A funky ride through Beaverton’s temple to authentic Sichuan cuisine. It’s no secret that most Chinese restaurants actually have two menus: one with Americanized staples a la crab Rangoon; the other with funky offal-filled stews catering to Chinese predilections. 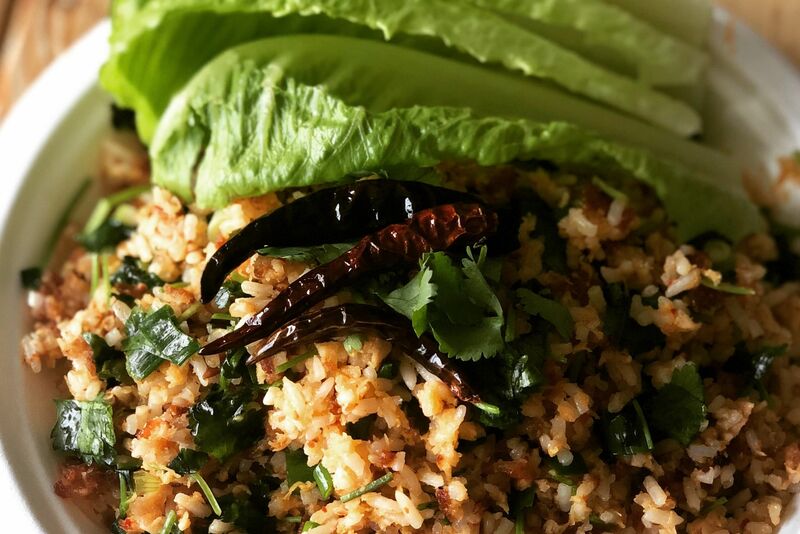 Without a translator, most menu requests are met with blank stares or vehement protest. 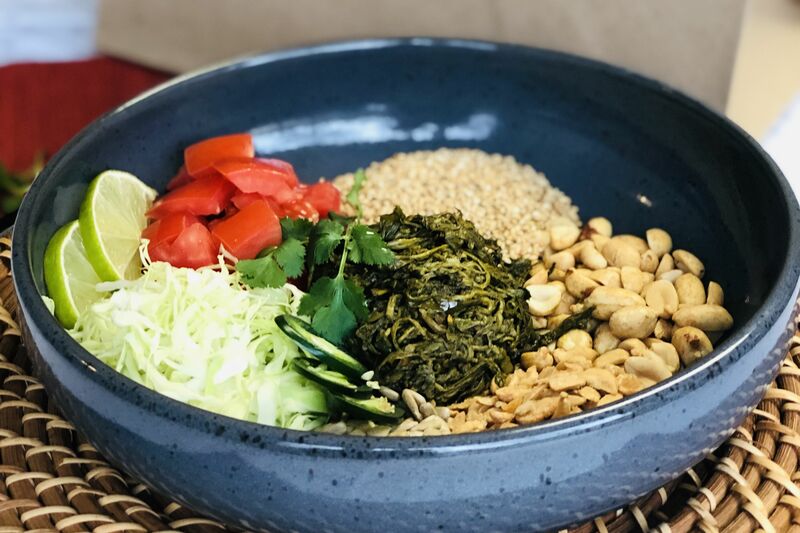 At Taste of Sichuan, a sprawling Beaverton restaurant dedicated to the throbbing spices of Southwest China’s Sichuan region, the veil is lifted, with a not-so-secret “Wild Side” menu offering some adventurous flavors and authentic bites for American audiences. Little about Taste of Sichuan has changed from its former identity as a Marie Callender’s chain-restaurant: brown banquettes line the sprawling dining room and tea still comes in heavy coffee mugs—far from a walk on the wild side. The Callender’s aesthetic stops at the kitchen where bubbling trays are marched out to hungry mobs chattering away in Cantonese and tucked deep into a world of swirling chili heat. 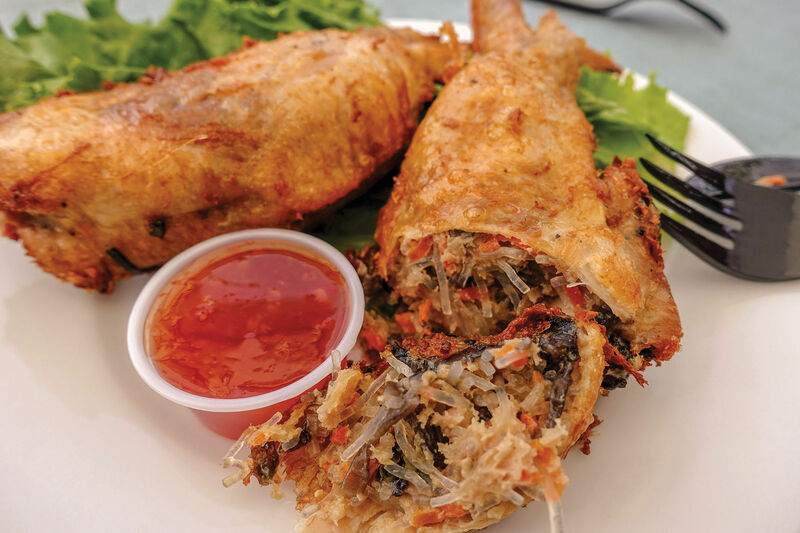 While the regular menu holds solid renditions of sweet and sour pork and Kung Pao chicken, the real attraction is the “Wild Side” menu, chock full of the bizarre and unfamiliar. On this side of the aisle, strands of sour & spicy jellyfish, chunks of stir-fried frog jumping with pickled chili peppers and pork stomach strips are the norm. From a small sampling of the exhaustive list, “The Other Parts of a Pig,” makes a strong impression: a tin fire pot engulfed in flame and holding a cauldron of pork intestines, burgundy cubes of blood sausage, and soft tofu in a salty, five-spice broth. 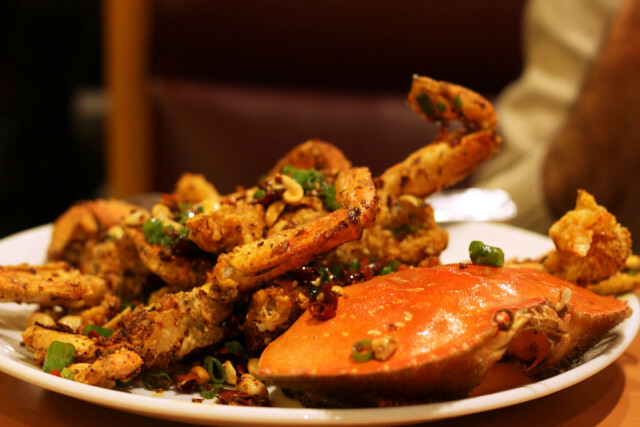 I'd return just for the “Sichuan Style Crab,” a wok-fried Dungeness covered with scallions, peanuts, and landmines of whole Sichuan pepper that shatter beneath a layer of oily heat, giving way to the sweet meat inside. Still, much of the food lacks nuance with critical Sichuan flavors like tingling peppers, ginger, and anise struggling to find a balance. 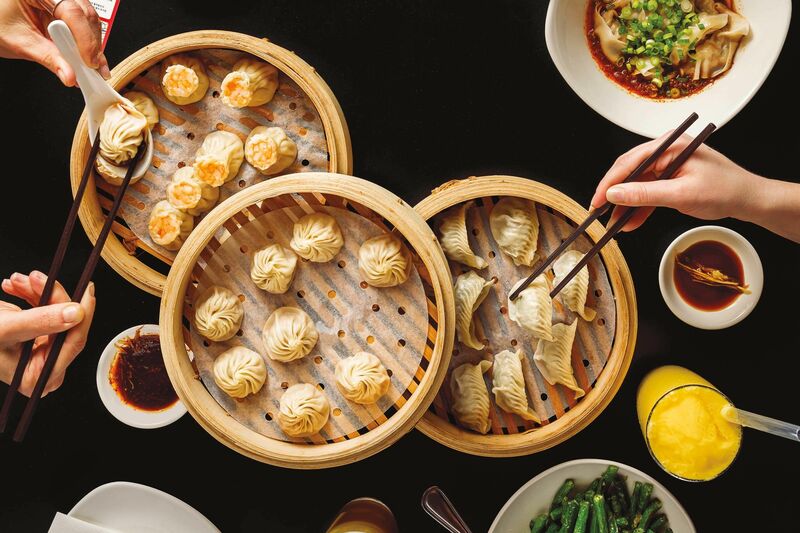 Taste of Sichuan blankets many of its dishes, from dumplings to mapo tofu, in a super-salty garlic paste that obliterates the palate, and a relatively reserved heat-quotient, despite warnings, seems calculated to cater to the American clientele. It’s a welcome consideration for those who find places like SE Hawthorne’s Lucky Strike to be offensively over-spiced, but it makes you wonder: Is a third menu hiding behind Taste of Sichuan’s unsuspecting veneer?